The outback is an amazing and adventurous destination that most Australians dream of exploring at least once in their lifetime. This South Australian outback special includes incredible experiences and accommodation options that will help to make your outback holiday everything you’d hoped for. An extraordinary 800 million-year-old natural amphitheatre is situated in the heart of the Ikara-Flinders Ranges National Park, only half a day’s drive north of Adelaide. It’s known as Wilpena Pound (Ikara), and is the traditional homeland of the Adnyamathanha, or Yura people. The only accommodation within the National Park, Wilpena Pound Resort offers hotel rooms, glamping safari tents and an extensive campground. As one of only a few Aboriginal-owned and operated resorts, its hallmark feature is the Indigenous cultural experiences. Uncover the rich history and mystique of ancient and contemporary Aboriginal culture, as Yura guides provide unrivalled insight into their timeless land, which is one of Australia’s natural wonders. 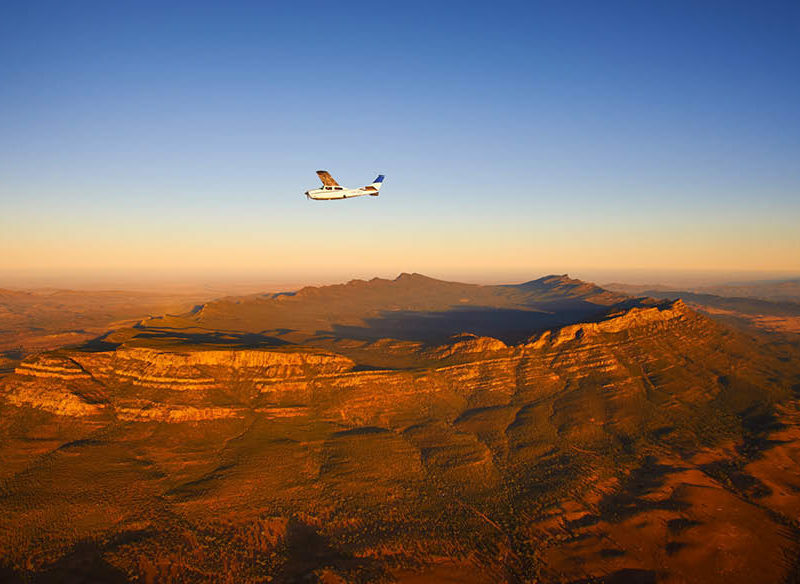 Join a guided Aboriginal cultural walk, a 4WD tour of the surrounding gorges, or a scenic flight over Wilpena Pound, the Flinders Ranges, and Lake Eyre – the world’s largest salt lake. With flights to around 58 destinations throughout regional Australia, holiday options with Rex are almost as endless as the vast blue outback sky. 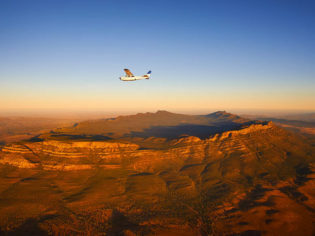 Operating flights in Queensland, New South Wales, South Australia, Tasmania, Victoria and Western Australia, Rex travels to Australian outback destinations that no other airline reaches; iconic places such as Coober Pedy, Birdsville, Broken Hill, Julia Creek, Quilpie and Winton are all accessible with Rex. Connections are available from Sydney, Brisbane, Melbourne, Adelaide and Perth, and car hire is available in many of Rex’s ports adding extra convenience. Getting to the Australian outback has never been easier or quicker than it is with Rex.